As country partners with Relocate Global, IKAN Relocations is delighted to share the new issue of Relocate magazine with the global mobility community across India. This edition focused on Europe as organisations move ahead with their Brexit planning and we also looked at the implications for the financial sector. Our hot topic examined Ireland and the border challenge. We previewed some of the burning issues explored at our Festival of Global Mobility Thinking in May, with the latest thinking around agility from leading author Dr Linda Holbeche plus coverage of technology, data and the education of our future talent. For our Summer issue we will be including a special Awards supplement. If you would like to contribute to the editorial, please contact Fiona Murchie, Managing Editor by emailing editorial@relocatemagazine.com. For advertising, please contact Jane Whitton, Senior Sales Manager by emailing jane.whitton@relocatemagazine.com. 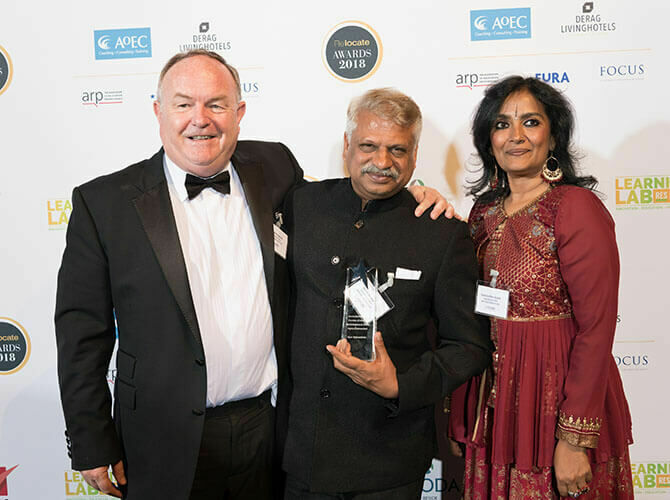 Special congratulations to IKAN Relocations who were highly commended in the 'Destination Services Provider of the Year – Rest of the World & Global' category. You can keep up-to-date with trends and insights across global mobility from immigration, tax and policy to employee and family support including finding accommodation and schools and cultural awareness via the relocateglobal.com website. 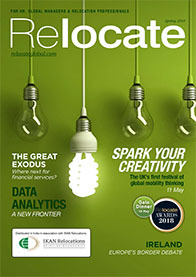 We hope you enjoy this latest issue of Relocate magazine brought to you in India by IKAN Relocations.